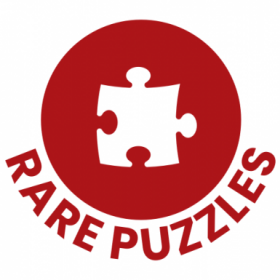 Ravensburger manufactured this puzzle in 2006. It represents the famous painting The Night Watch, by Rembrandt. Ravensburger produced in 1977 a very challenging 5000 pieces version of this puzzle. 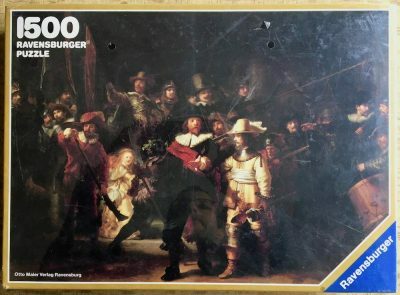 There is also a very interesting 5000 version by Jumbo with a photograph of some people posing as characters of the original painting by Rembrandt. Since the painting has a lot of dark tones, all versions are very difficult to assemble. 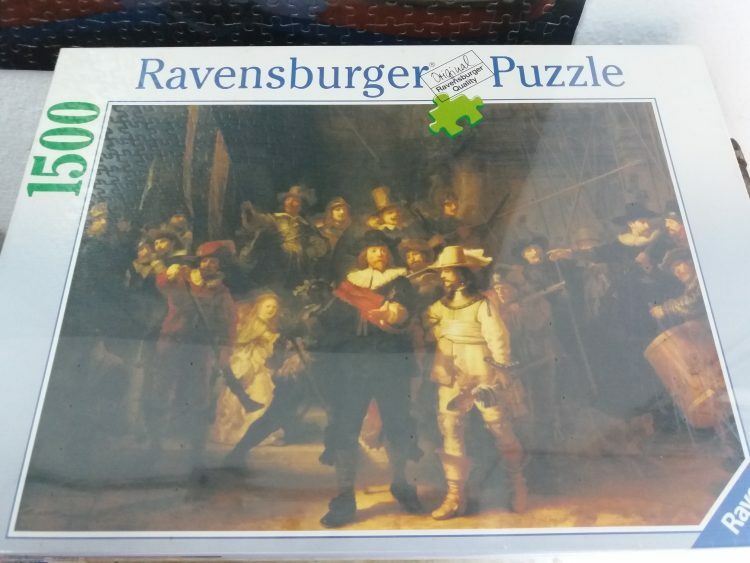 However, the true challenge is the first version by Ravensburger. 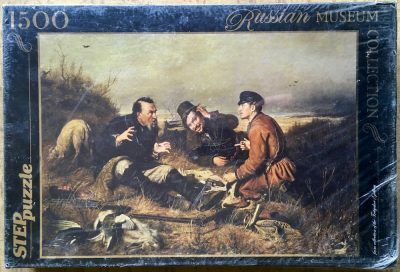 Puzzle size: 84.3 x 59.7 cm. Box size: 37 x 27 x 5.5. cm. Other titles: Die Nachtwache; La Ronde de Nuit; La Ronda di Notte; De Nachtwacht; Ronda de Noche.